An Ottawa animator has won one of the industry's highest honours for his work on a film featuring a rather famous British nanny. 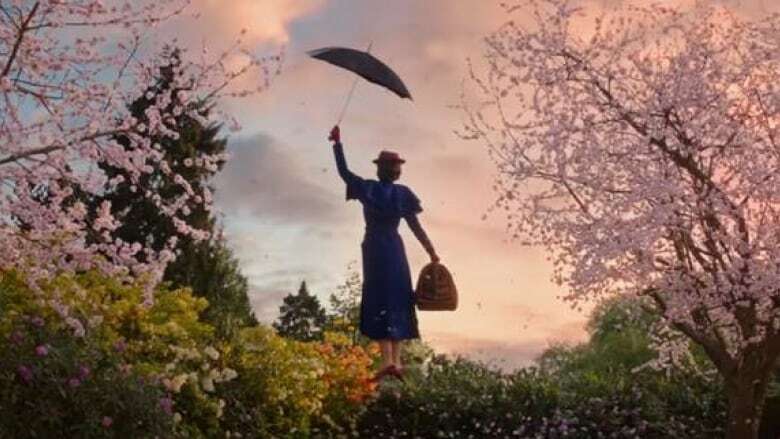 Chris Sauve worked as an animator on Mary Poppins Returns, which brought the classic film back to theatres this winter for a second dose of magic. Sauve was part of a team that won an Annie Award in the category of "outstanding achievement for character animation in a live action production" — in other words, blending animated characters with actors including Emily Blunt, who plays the title role. Sauve told CBC's All In A Day the animation team wanted to recreate the feel of the 1964 classic. "What we were trying to do is keep the charm of the original one, kind of updated a little bit," he said. That meant enhancing hand-drawn characters with the "bells and whistles" made possible by modern animation technology, Sauve said. "We can put textures on things and we can put lighting onto things and we can move the camera around in ways that was really difficult to do [even] 20 years ago," he said. Sauve calls the end result "moving artwork." The trick, Sauve said, is making sure the actors and the drawn characters appear to be occupying the same space. "We have to place the character in there, make them act in a way that looks and feels like they're in the moment," he said. Sauve said Ottawa, where he got started working on such Canadian projects asThe Raccoons and My Pet Monster, provided a good launching pad for his career. "There's a real feeling [in Ottawa] that animation is an art form and not just some commercial thing that you pump out," he said. "That's what I got probably the most from working in Ottawa, is [that] animation is an art."